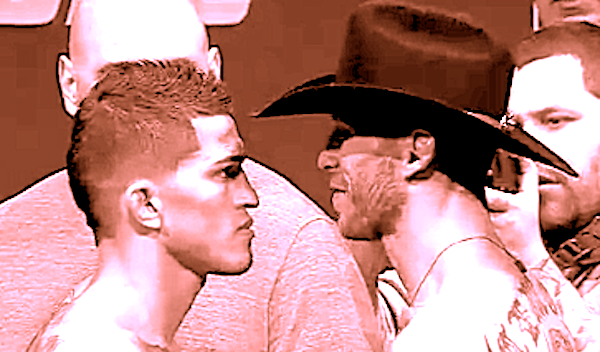 Anthony Pettis has remained mostly quiet in his quest for a shot at champion Benson Henderson in the UFC, but he made a very loud statement in brutally dispatching Donald Cerrone with body kicks at 2:35 of the first round. Pettis who is known as “Showtime” showed just why that nickname fits him perfectly as he used an arsenal of unorthodox strikes including a cartwheel kick as he landed at will on Donald Cerrone to start the bout. But it was his work to the body that started the beginning of the end for Cerrone. 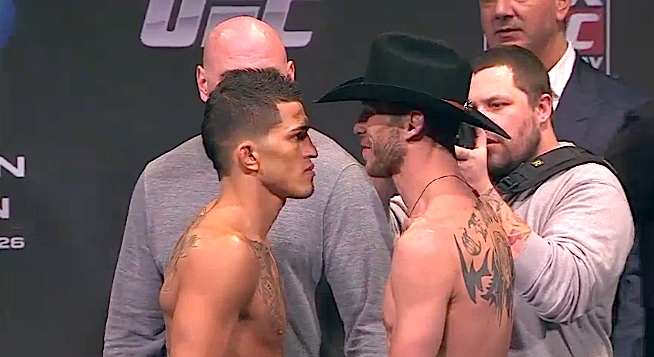 Pettis uncorked a brutal kick to the liver that buckled Cerrone, and from there it was all but over. Cerrone tried to recover but Pettis pounced, landing a knee inside to the head as Cerrone dropped his hands to protect his body. As Cerrone retreated, Pettis landed the fight-ending liver kick that dropped his opponent and forced the referee to stop the fight. Pettis went on to ask for a title shot in his post-fight interview with Joe Rogan, and that appears to be what’s next for him on the horizon.